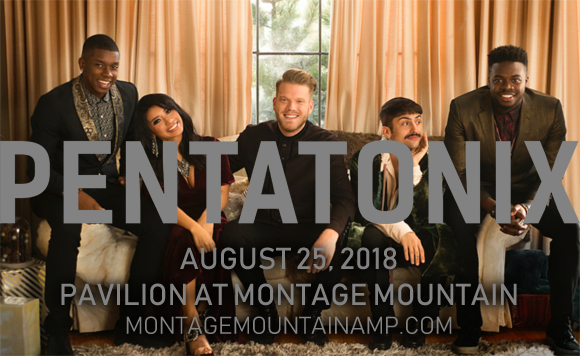 Bringing a wealth of talent to the Pavilion at Montage Mountain stage on Saturday 25th August 2018, a capella superstars Pentatonix will be touching down as part of their extensive 2018 world tour! The group will be performing tracks from their exciting new album PTX Presents: Top Pop, Vol. I, bringing their signature vocal stylings to some of the biggest pop hits around in this energetic and exciting show! Pentatonix are an American a cappella group, formed in 2011 and currently consisting of vocalists Scott Hoying, Mitch Grassi, Kirstin Maldonado, Kevin Olusola and Matt Sallee. The group won season three of NBC's The Sing-Off, which catapulted them to stardom and made the band a household name. This popularity continued when the group began a YouTube channel to showcase their videos of vocal covers and arrangements of pop hits, which now stands as the 50th most-subscribed-to YouTube channel with over 13 million subscribers and 2.7 billion views. The band has released several EPs and studio and Christmas albums, with a new album called PTX Presents: Top Pop, Vol. I released on April 13 2018. They have won three Grammy Awards.